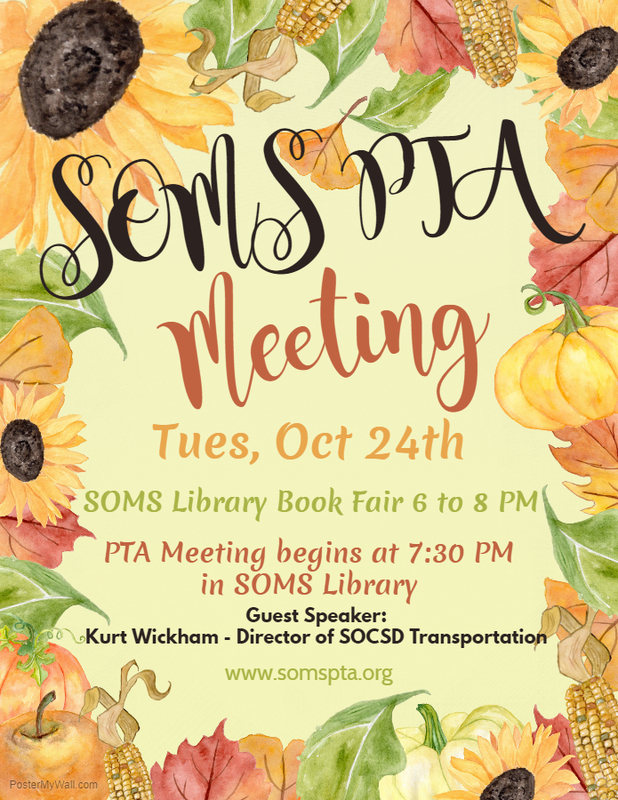 SOMS PTA’s monthly meeting will be held on Tues, Oct 24, 2017 at 7:30 PM in the SOMS Library. The SOMS Library Book Sale will also be open from 6:00 to 8:00 PM. Dr Karen Tesik (SOMS Principal) and Mr Kurt Wickham (SOCSD Dept of Transportation) will be the guest speakers at the PTA Meeting beginning at 7:30 PM. Please join us!